See more objects with the tag artists, architecture, study, preparatory, art, light, studio, antiquity, landscape, classical, temple, columns, courtyard, colonnade, documentation, sketch, Parthenon, night, illumination, fireworks, brightly colored, temples. 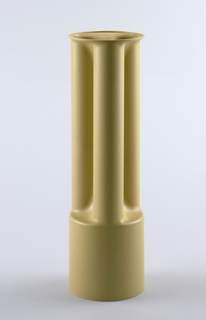 See more objects with the color darkslategrey darkslategrey saddlebrown dimgrey dimgrey or see all the colors for this object. This is a Drawing. We acquired it in 1917. Its medium is brush and oil, black chalk on thin cream paperboard. It is a part of the Drawings, Prints, and Graphic Design department. Church was on the Acropolis when a pyrotechnical display was staged for the king and queen of Greece. 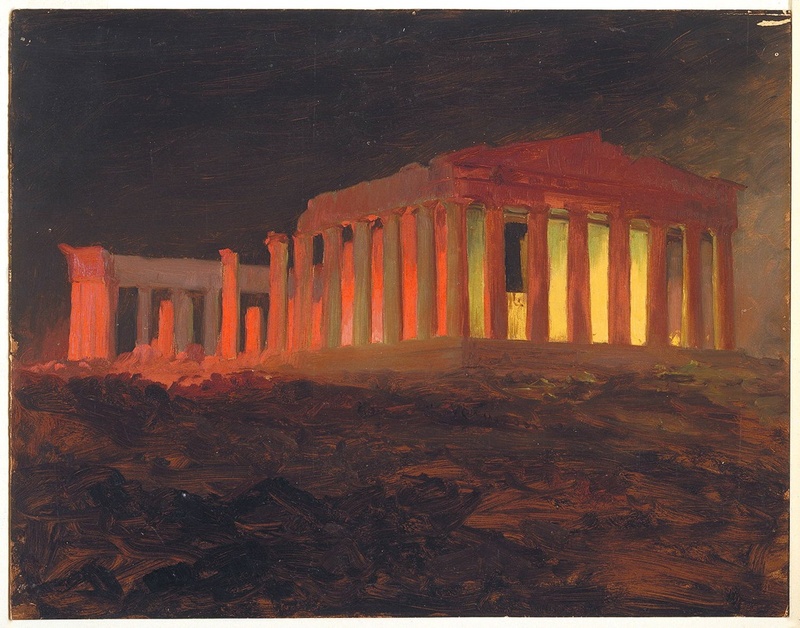 In this oil sketch, Church captures a dramatic moment when the fireworks reflect on the Parthenon. The museum holds the largest collection of Frederic E. Church objects in the world. 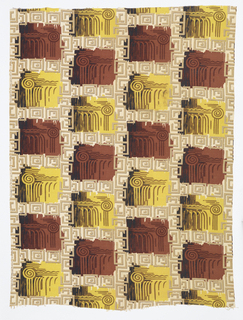 Donated by the artist’s son, Louis P. Church, the gift was solicited by Charles W. Gould, a museum trustee, and by the painter Elliot Clark, who acted as an agent for the Hewitt sisters. 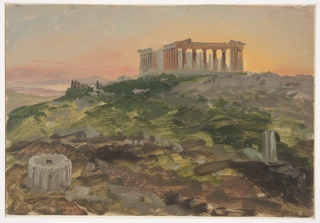 The Parthenon oil sketch on display was likely painted in the studio after a quick graphite study that Church executed (with color notations) while observing the fireworks display. The black and white sketch is also included in the Church collection. 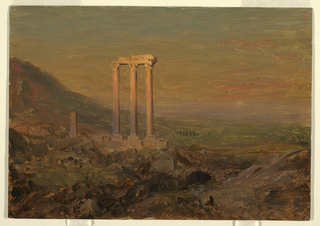 This object was featured in our Object of the Day series in a post titled Hauntingly Beautiful: Frederic Edwin Church’s Parthenon Sketch . brush and oil paint, graphite traces on paperboard.